“Following models such as the Fairmont Pacific Rim, Hotel Georgia, Shangri La and Le Germain, the hotel project will include a limited number of residences in the upper levels of the tower. This is a one-of-a-kind site in a very special place in the world. The hotel, and the stunning homes that will accompany it, will bring a presence and grace to the waterfront that will compete on the world stage.” Phil Milroy, President and CEO Westcorp. 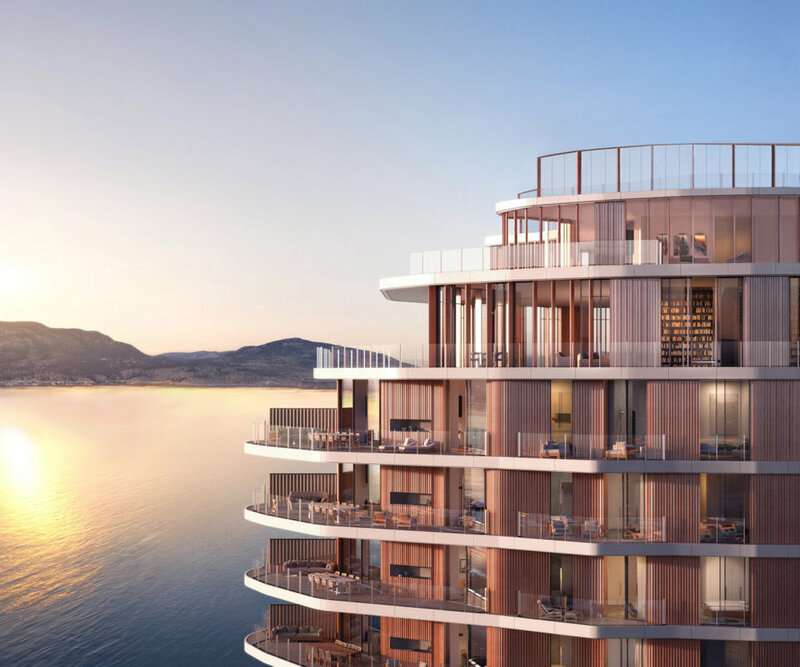 Located on the spectacular Kelowna waterfront, the Downtown Kelowna Hotel & Residences, brought to life by Westcorp Development is set to be a luxury development like no other in the Okanagan Valley. The property will feature 174 guest rooms and 40 residences along with a meaningful commitment to spa and wellness, among other thoughtful amenities. Core Essence is thrilled to be supporting the team at Westcorp on in-depth feasibility and market analysis for spa and wellness to ensure both the economic viability of the programming and design as well as leading the ultimate direction for the design and brand concept for these facilities.